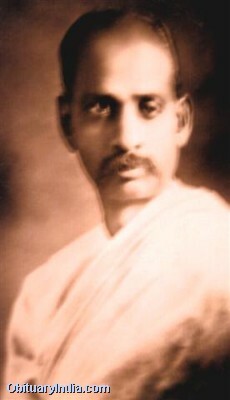 Successfully led Kheda Satyagraha and Bardoli revolt against British government; elected Ahmedabads municipal president in 1922, 1924 and 1927; elected Congress President in 1931; was independent Indias first Deputy Prime Minister and Home Minister; played a key role in political integration of India; conferred Bharat Ratna in 1991. 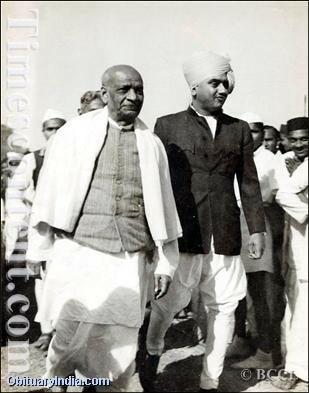 Sardar Patel was popularly known as Iron Man of India. His full name was Vallabhbhai Patel. He played a leading role in the Indian freedom struggle and became the first Deputy Prime Minister and Home Minister of India. He is credited with achieving political integration of India. Vallabhbhai Patel was born on October 31, 1875 in Nadiad, a small village in Gujarat. His father Jhaverbhai was a farmer and mother Laad Bai was a simple lady. Sardar Vallabhai's early education took place in Karamsad. Then he joined a school in Petlad. After two years he joined a high school in a town called Nadiad. He passed his high school examination in 1896. Sardar Vallabhbhai Patel was a brilliant student throughout his schooling. Jhaverbhai Patel was a strong and sturdy man. His country and freedom were as dear to him as his own life. In 1857 the people of India fought for their freedom. Jhaverbhai, who was then a young man, fought bravely at that time. Vithalbhai, Vallabhbhai's elder brother, was also a well-known patriot. He was the Chairman of the Indian Legislative Council. Once, when he was a small boy, Vallahbhai suffered from a boil in the armpit. There was a man in the village who used to cure boils by touching them with hot iron. The boy went to him. The man heated the iron rod till it grew red. But he hesitated, seeing at the boy's tender years. "What are you waiting for? The iron will grow cold. Hurry up, brand the boil," said the boy angrily. The man was even more frightened. The boy picked up the glowing rod and burnt the boil. Those who watched him were shocked and screamed. But there was not even a trace of pain in the boy's face. Vallabhbhai's early education was in Karamsad. Then he joined a school in Petlad. After two years he joined a high school in a town called Nadiad. A teacher of this school used to sell the books, which the pupils needed. He used to force all the pupils to buy books only from him. If any boy bought books from others, the teacher used to tease him. Vallabhbhai thought that this was wrong. He spoke to his companions, and saw to it that not a single pupil attended the classes. For a whole week the school could not work. The teacher had to correct himself. When he was in Petlad he used to cook for himself. Every week he used to carry provisions from home, walking the entire distance. He could have gone by train, but he did not have the money to buy a ticket. During his school days, one day a teacher made a mistake in working a sum. Vallabhbhai pointed out the error. The teacher was very angry and said, "All right, you be the teacher." The boy replied, "Very well, sir." He worked the sum correctly, and sat down in the teacher's chair! Vallabhbhai first chose Sanskrit. Then he changed to Gujarati. Sanskrit was dearer to the teacher who taught Gujarati than his own subject. When Vallabhbhai entered his class, the teacher wanted to taunt him, and said, "Welcome, great man!” He did not know that the boy would one day become a very great man. He asked the boy, in anger, "Why did you give up Sanskrit and choose Gujarati?" Vallabhbhai answered, "If everyone chooses Sanskrit, you will have no work." The teacher was in a rage. He complained to the headmaster. Vallabhbhai narrated to the headmaster all that had happened. The headmaster said, "I have not seen such a bold pupil." This made the teacher even bitterer. Vallabhbhai, too, did not wish to remain in that school. He went back. He studied at home and passed the examination. Vallabhbhai wanted to become a barrister. To realize this ambition he had to go to England. But he did not have the financial means to even join a college. In those days a candidate could study in private and sit for an examination in Law. Sardar Vallabh Bhai Patel borrowed books from a lawyer of his acquaintance and studied at home. Occasionally he attended courts of law and listened attentively to the arguments of lawyer. Vallabhbhai passed the Law examination with flying colours. Sardar Vallabhbhai Patel started his Law practice in Godhra. Soon his practice flourished. He got married to Jhaberaba. In 1904, he got a baby daughter Maniben, and in 1905 his son Dahyabhai was born. Vallabhbhai sent his elder brother Vitthalbhai, who himself was a lawyer, to England for higher studies in Law. Patel was only thirty-three years old when his wife died. He did not wish to marry again. After his brother's return, Vallabhbhai went to England. He studied with single-minded devotion and stood first in the Barrister-at-Law Examination. 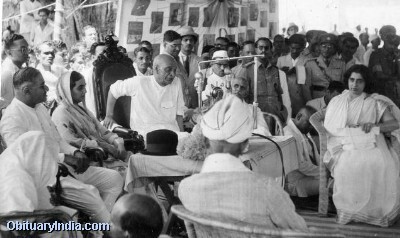 Sardar Patel returned to India in 1913 and started his practice in Ahmedabad. Soon he became popular. At the urging of his friends, Patel contested and won elections to become the sanitation commissioner of Ahmedabad in 1917. 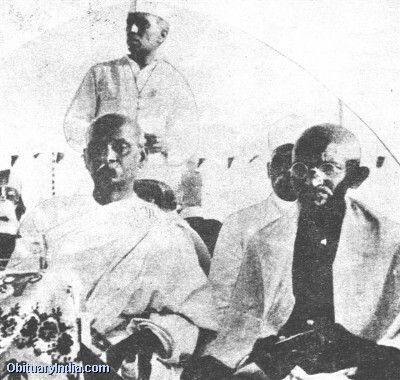 Sardar Patel was deeply impressed by Gandhiji's success in Champaran Satyagraha. In 1918, there was a drought in the Kheda division of Gujarat. Peasants asked for relief from the high rate of taxes but the British government refused. Gandhiji took up peasants cause but could not devote his full time in Kheda. He was looking for someone who could lead the struggle in his absence. At this point Sardar Patel volunteered to come forward and lead the struggle. He gave up his lucrative legal practice and entered public life. 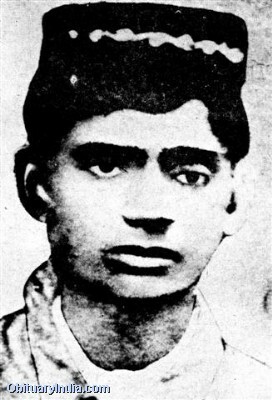 Vallabhbhai successfully led peasant’s revolt in Kheda and the revolt ended in 1919 when the British government agreed to suspend collection of revenue and roll back the rates. Kheda Satyagraha turned Vallabhbhai Patel into a national hero. Vallabhbhai supported Gandhi's Non-Cooperation Movement, and as president of the Gujarat Congress, helped in organizing bonfires of British goods in Ahmedabad. He gave up his English clothes and started wearing Khadi. Sardar Vallabh Bhai Patel was elected Ahmedabad's municipal president in 1922, 1924 and 1927. During his terms, Ahmedabad was extended a major supply of electricity and underwent major education reforms. Drainage and sanitation systems were extended over the entire city. In 1928, Bardoli Taluka in Gujarat suffered from floods and famine. In this hour of distress the British government raised the revenue taxes by thirty percent. Sardar Patel took up cudgels on behalf of the farmers and appealed to the Governor to reduce the taxes. The Governor refused and the government even announced the date of the collection of the taxes. Sardar Patel organized the farmers and told them not to pay even a single pie of tax. 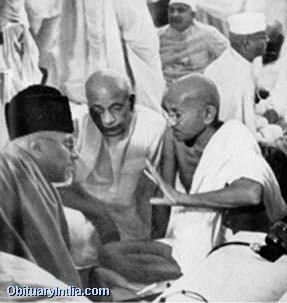 The government tried to repress the revolt but ultimately bowed before Vallabhbhai Patel. 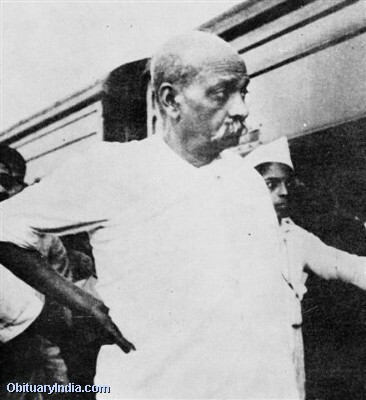 It was during the struggle and after the victory in Bardoli that caused intense excitement across India, that Patel was increasingly addressed by his colleagues and followers as Sardar. Patel was known as the Man of Steel. But tenderness was very much alive in the steel of his nature. He looked after not only Gandhiji but also other friends like Kanaiya Lal Munshi with the affection of a mother, when they were all in prison. He did not believe in making speeches. He was a man of very few words. He accepted with a calm mind whatever life brought him- happiness or sorrow. Pain and sorrow could not alter a single line of his face. When necessary he could be dominating; but by nature he was very courteous. After the Bardoli Satyagraha he became famous all over India. When he went to attend the Congress Session he forgot to take his pass with him. The volunteers stopped him. He went back. Next day the volunteers understood who he was, and were ashamed. But Patel was not at all displeased. 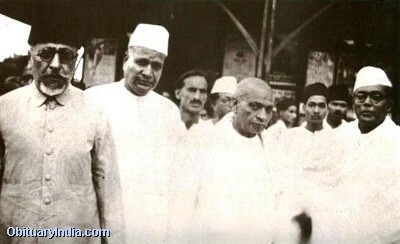 After the signing of Gandhi-Irwin pact in 1931, Sardar Patel was released and he was elected Congress president for its 1931 session in Karachi. Upon the failure of the Round Table Conference in London, Gandhiji and Sardar Patel were arrested in January 1932 and imprisoned in the Yeravada Central Jail. During this term of imprisonment, Sardar Patel and Mahatma Gandhi grew close to one another, and the two developed a close bond of affection, trust, and frankness without reserve. Sardar Patel was finally released in July 1934. In August 1942, the Congress launched the Quit India Movement. 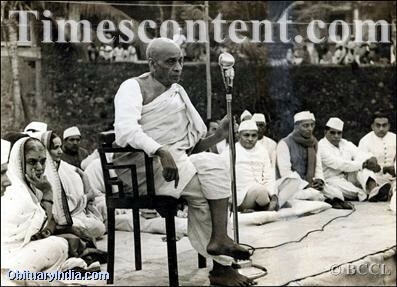 The government jailed all the important leaders of the Congress, including Vallabhai Patel. All the leaders were released after three years. After achieving independence on 15th of August 1947, Pandit Jawaharlal Nehru became the first Prime Minister of independent India and Sardar Patel became the Deputy Prime Minister. He was in charge of Home Affairs, Information and Broadcasting and the Ministry of States. There were 565 princely states in India at that time. Some of the Maharajas and Nawabs who ruled over these were sensible and patriotic. But most of them were drunk with wealth and power. They were dreaming of becoming independent rulers once the British quit India. They argued that the government of free India should treat them as equals. Some of them went to the extent of planning to send their representatives to the United Nations Organization. Patel invoked the patriotism of India's monarchs, asking them to join in the freedom of their nation and act as responsible rulers who cared about the future of their people. He persuaded the princes of 565 states of the impossibility of independence from the Indian republic, especially in the presence of growing opposition from their subjects. With great wisdom and political foresight, he consolidated the small kingdoms. The public was with him. He tackled the Nizam of Hyderabad and the Nawab of Junagarh who initially did not want to join India. 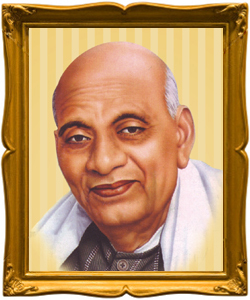 Sardar Patel's untiring efforts towards the unity of the country brought success. He united a scattered nation without much bloodshed. Due to the achievement of this massive task, Sardar Patel got the title of 'Iron Man'. Sardar Patel died of cardiac arrest on December 15, 1950. For many decades after his death, there was a perceived lack of effort from the Government of India, the national media and the Congress party regarding the commemoration of Patel's life and work. However, Patel is lionized as a hero in Gujarat and his family home in Karamsad is still preserved in his memory. Patel was officially awarded the Bharat Ratna, India's highest civilian honor posthumously in 1991. Patel's birthday, 31 October, is celebrated nationally in India as Sardar Jayanti. The Sardar Patel National Memorial was established in 1980 at the Moti Shahi Mahal in Ahmedabad. It comprises a museum, a gallery of portraits and historical pictures and a library, which stores important documents and books associated with Patel and his life. Amongst the exhibits are many of Patel's personal effects and relics from various periods of his personal and political life. Patel is the namesake of many public institutions in India. A major initiative to build dams, canals and hydroelectric power plants on the Narmada river valley to provide a tri-state area with drinking water, electricity and increase agricultural production was named the Sardar Sarovar. Patel is also the namesake of the Sardar Vallabhbhai National Institute of Technology, the Sardar Patel University, Sardar Patel High School and the Sardar Patel Vidyalaya, which are among the nation's premier institutions. India's national police training academy is also named after him. In Richard Attenborough's Gandhi (1982), actor Saeed Jaffrey portrayed Patel. In 1993, the biopic Sardar was produced and directed by Ketan Mehta and featured noted Indian actor Paresh Rawal as Patel; it focused on Patel's leadership in the years leading up to independence, the partition of India, India's political integration and Patel's relationship with Gandhi and Nehru. It is a hundred years since this hero, the Sardar, was born. Let us remember him with reverence and bow to him. Let us emulate his admirable qualities.